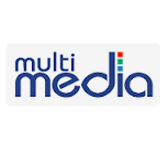 This tutorial provides awareness about Multimedia and other Features of Multimedia. After completing this tutorial one able to know about how the Computer Multimedia works. To learn this tutorial one must be aware of 2D Animation, 3D Animation,Web Designing, UI/UX designing, Graphic designing concepts.